Design Museum permanent Collection Exhibition “Finnish Form” tells the story of Finnish design from the late 19th century to today. The exhibition highlights the most important periods and styles of Finnish Design and showcases the biggest names of Finnish design all the way from Akseli Gallen-Gallela and Alvar Aalto to Tapio Wirkkala and Timo Sarpaneva. The exhibition also looks to the different aspects of design from craft to fashion and from furniture design to industrial design. Sphinxes, ibises, lotuses – and feline beasts, of course. Leena Luostarinen’s long-awaited retrospective exhibition includes classic pieces as well as surprises from the artist’s career spanning 40 years. Leena Luostarinen’s powerful and colourful paintings have touched and even shocked Finnish art audiences for decades. Produced by the Finnish Art Society, this major retrospective in Kunsthalle Helsinki presents nearly sixty works, showcasing Luostarinen’s unique character as a painter, both wild and gentle at the same time. The exhibition showcases the scope of Luostarinen’s career from the breakthrough works of the 1970s to the most recent paintings. In addition to the master of monumental cat pieces, the exhibition also features a more intimate and subtler side of Luostarinen: sensitive watercolours and lyrical paintings that effectively counter-balance the idea of Luostarinen as an explosive expressionist. The show also includes sketchbooks that offer a glimpse into the artist’s creative process. Bringing French neo-realism to Finland in the 1960’s, Kajander can be considered Finland’s pioneer of ready-made art. His works acknowledge art history, offer social commentary, and crystallize life’s diminutive moments and insights. 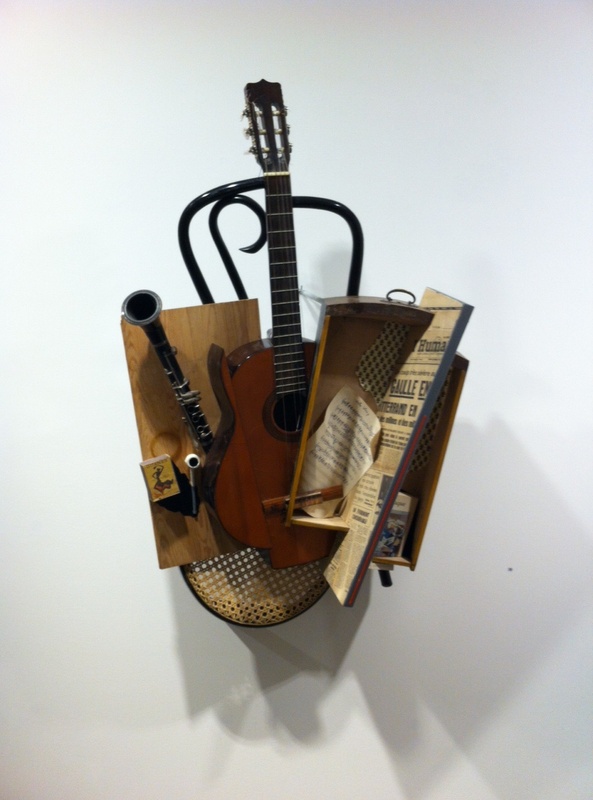 His objects are imbued with new stories and meanings even when arranged in a conflicting manner. Strongly present in many works is the city of Paris, where the artist’s old palette splashed a persisting influence upon the Académie de la Grande Chaumièren croquis from 1962 onwards. Kajander’s renderings of the living model are immersed in references and the traditions of centuries of art history. The Ball Chair 50th Anniversary! Eero Aarnio designed the Ball Chair on January 11th 1963. The Ball Chair – or Globe Chair 1963, as it’s called sometimes – was designed by using one of the most simple geometric forms – the ball. Cutting of a part and fixing it at one point Eero Aarnio comes to a remarkable result – a completely unconventional shaped chair. 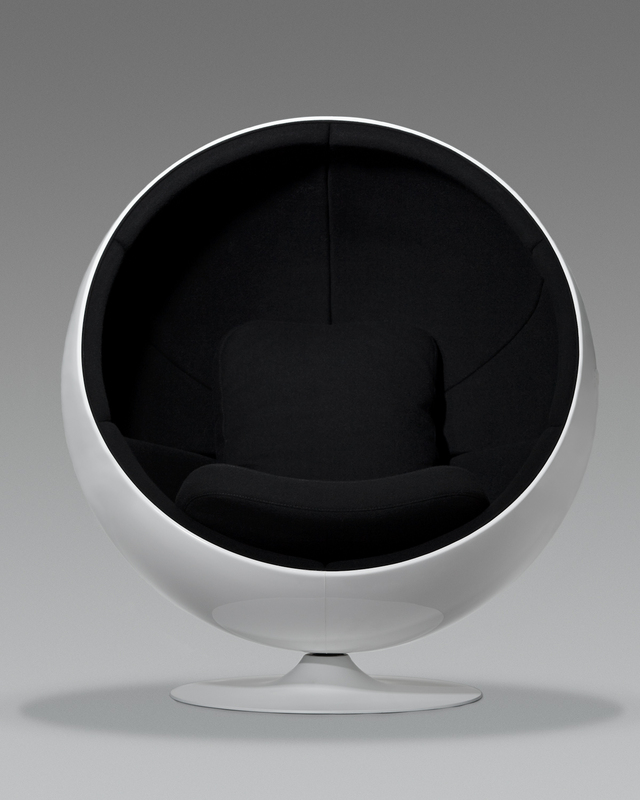 1966 the Ball Chair was presented at the international furniture fair in Cologne. It was the sensation of the fair, the international breakthrough for Eero Aarnio and the start for a whole line of fibreglass designs by Aarnio.